Please contact your dentist in Fresno CA, Dr Donan if you are afraid to have one of the following dental issues. If you suffer from bad breath, you are not alone. Bad breath, also called halitosis, can be downright embarrassing. According to dental studies, about 85 percent of people with persistent bad breath have a dental condition that is to blame. Gum disease, cavities, oral cancer, dry mouth and bacteria on the tongue are some of the dental problems that can cause bad breath. Using mouthwash to cover up bad breath when a dental problem is present will only mask the odor and not cure it. If you suffer from chronic bad breath, visit your Dr Donan, dentist in Fresno, to rule out any of these problems. See more with the top seven ways to prevent bad breath. Did you know tooth decay, also known as cavities, is the second most prevalent disease in the United States? (The common cold is first.) Tooth decay occurs when plaque, the sticky substance that forms on teeth, combines with the sugars and/or starches of the food we eat. This combination produces acids that attack tooth enamel. You can get cavities at any age, they aren’t just for children. As you age, you can develop cavities as your tooth enamel erodes, and dry mouth due to age or medications can also lead to cavities. The best way to prevent tooth decay is by brushing twice a day, flossing daily, and going to your dentist in Fresno CA, Dr Donan, at least twice a year. Eating healthy foods and avoiding snacks and drinks that are high in sugar are also ways to prevent decay. Your dentist can recommend further treatments that may help reduce your risk. Gum disease, also known as periodontal disease, is an infection of the gums surrounding the teeth. It is also one of the main causes of tooth loss among adults. Studies have shown that periodontal disease is linked to heart attacks and strokes. Everyone is at risk for gum disease, but it usually occurs after age 30. Smoking is one of the most significant risk factors. Diabetes and dry mouth also increase your risk. The symptoms include bad breath, red, swollen, tender, or bleeding gums, sensitive teeth and painful chewing. There are two major stages of gum disease: gingivitis and periodontitis. Regular dental check-ups along with brushing at least twice a day and flossing daily play an important role in preventing gum disease. You should see your dentist Dr Donan, in Fresno, if you have any signs of gum disease so you can get treatment to prevent further complications, such as tooth loss. Oral cancer is a serious and deadly disease that affects millions of people. In fact, the Oral Cancer Foundation estimates that someone in the United States dies every hour from oral cancer, but it is often curable if diagnosed and treated in the early stages. It is most often seen in people over the age of 40. The biggest risk factors are tobacco and alcohol use, including chewing tobacco. HPV, a sexually transmitted wart virus, also increases the risk. The symptoms of mouth or throat cancer include sores, lumps, or rough areas in the mouth. You may also have a change in your bite, difficulty chewing or moving your tongue or jaw. There are several different types of mouth sores and they can be pesky and bothersome. Unless a mouth sore lasts more than two weeks, it is usually nothing to worry about and will disappear on its own. Fever blisters or cold sores are caused by the Herpes simplex virus and occur on the edge of the outer lips. They are contagious. They will come and go but are not completely curable. Mouth sores are also seen in oral thrush or Candidiasis, a yeast infection of the mouth that can be seen in infants, denture wearers, people with diabetes, and during cancer treatment. Tooth sensitivity is a common problem that affects millions of people. Basically, tooth sensitivity means experiencing pain or discomfort to your teeth from sweets, cold air, hot drinks, cold drinks or ice cream. Some people with sensitive teeth even experience discomfort from brushing and flossing. The good news is that sensitive teeth can be treated. Learn more about fluoride. Sensitive teeth can also be a sign of a cracked tooth or a tooth abscess, which needs to be treated by your dentist to prevent losing a tooth or getting an infection in your jaw or bloodstream. If you suddenly develop tooth sensitivity, make an appointment with your dentist Dr Donan, in Fresno CA, to see if there is a source that needs to be treated. While many toothaches and dental emergencies can be easily avoided just by regular visits to the dentist, we all know that accidents can and do happen. Having a dental emergency can be very painful and scary. 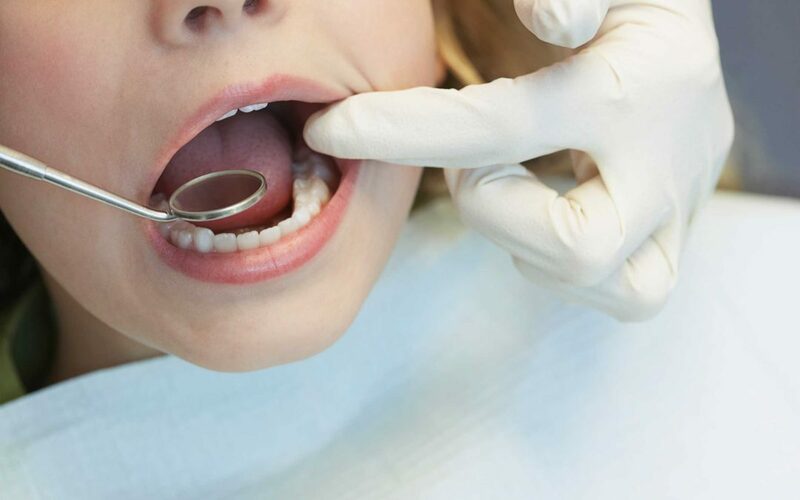 Common problems that require an urgent trip to your dentist include having a broken or cracked tooth, an abscessed tooth, or when you have a tooth knocked out in an accident. You should go to a hospital for trauma care if you have a fractured or dislocated jaw or severe cuts to your tongue, lips, or mouth. If you have a tooth abscess that is causing difficulty swallowing or you have developed a fever or facial swelling, you should get emergency care as well. While an unattractive smile is not technically a “dental problem,” it is considered a dental problem by people who are unhappy with their smile and it’s also a major reason that many patients seek dental treatment. An unattractive smile can really lower a person’s self-esteem. Luckily, with today’s technologies and developments, anyone can have a beautiful smile. Whether it’s teeth whitening, dental implants, orthodontics or other cosmetic dental work, your dentist in Fresno can give you the smile of your dreams.